The City of Thunder Bay is situated in Thunder Bay District on Lake Superior. Thunder Bay is the second largest community in Northern Ontario after Greater Sudbury. It is a major economic hub in Northern Ontario and according to the Growth Plan for Northern Ontario Thunder Bay is a Strategic Core Area (policy 4.4) meaning it must function as a “vibrant, walkable district” and support the development of “integrated public transportation systems” (GPNO, 2011). 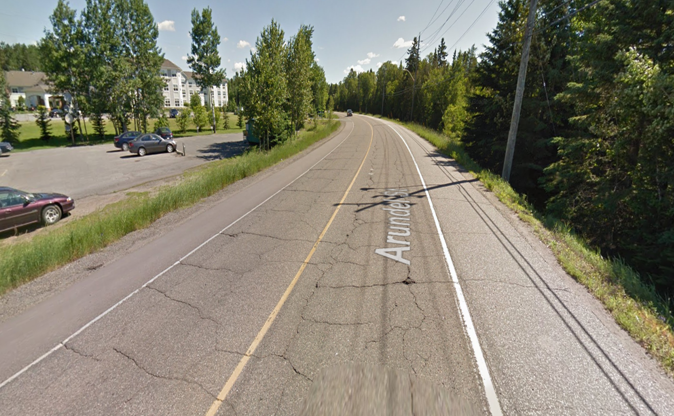 Thunder Bay was included as a case study in TCAT’s Complete Streets Gap Analysis. Between 2010-2013, 40km of active transportation routes were created by the City, making getting around safer and easier, according the the EarthCare Sustainability Plan 2014-2020, p. 36. The City’s EarthCare Sustainability Plan 2014-2020 includes The Sustainable Development Landuse Planning Actions for Coroporation from the City’s Earthcare Sustainability Plan 2014-2020 includes: “Establish and maintain linkages between neighbouhoods, with emphasis on walking and bicycling pathways, as part of the City’s Active Transportation Plan and relating to the concept of ‘Complete Streets'” (p.20). 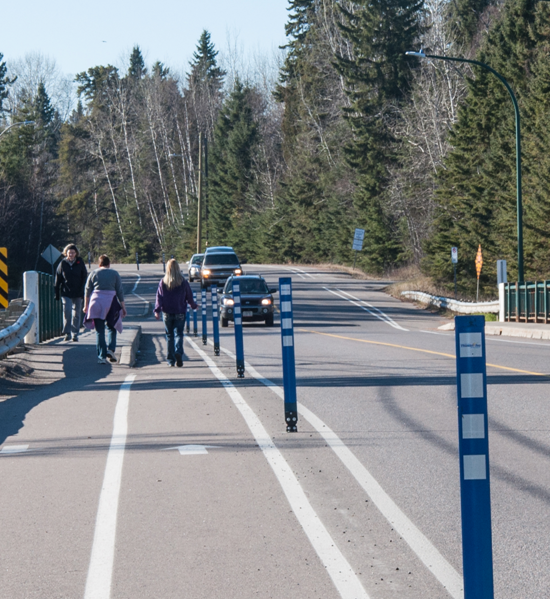 4.5km of new bike lanes or Active Living Corridors were approved by City Council for 2015. A map of the City’s Active Transportation Networks is available for the public. Thunder Bay District Health Unit Walkability Committee identifies Complete Streets as a factor in improving the city’s walkability through improved infrastructure and policy. City Council adopted Becoming Our Best 2015-2018 Corporate Strategic Plan on June 22, 2015. The Plan’s Goal 7 includes action to “Update Transportation Master Plan for future needs and align in keeping with ‘Complete Streets guidelines'” (p.11). An implementation plan was presented in September 2015. The City of Thunder Bay has a population of 108,359, but just under half of its 328 square kilometers of land area lies outside of urban centres. Hudson Avenue and Arundel Street connect two urban neighbourhoods to each other and to Thunder Bay’s largest outdoor recreation area. They had typical rural cross-sections, with gravel and sometimes paved shoulders, and both have had issues with speeding. As part of a planned reconstruction (2013), new transit shelters and trail signage were added to Arundel Street, intersections were re-designed, and bicycles lanes were painted on both sides, with a two-way pedestrian walkway added to one side of the street. This design proved ineffective, however; after one year, the painted line for the bike lane beside the pedestrian walkway had worn off due to vehicles driving over it. Bicycle counts actually dropped in this area, and the anticipated reductions in speeding did not materialize. From this experience, the design for the reconstruction of Hudson Avenue was modified. The bike lane on the north side was maintained, but a painted buffer was added. On the south side, instead of a separate bike lane, a multi-use, Active Living Corridor was created instead including a 0.5m-wide buffer with reflective flexi-posts. While data collection is still underway, overall public response has been very positive.